This is my first time doing this so I hope that it works. I have many problems that seem to somehow elude my spybot adaware and avg. Can anybody tell what to do? I tried a system restore and that didn't work either. I don't know what all of this log is needed so I hope that this isn't too much. Start Spybot at the top you will see mode make sure advanced mode is check. 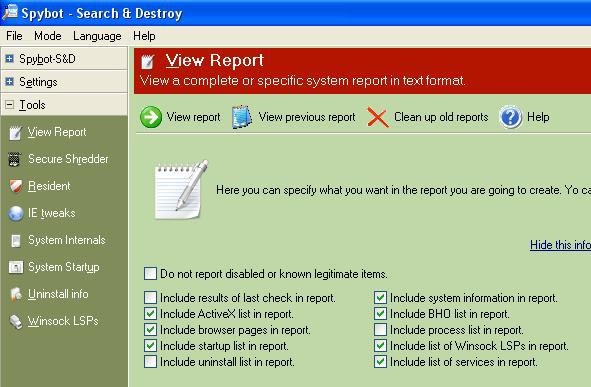 Then on the left click tools > view report > place a check mark in the boxes shown. In the body of the text right click > select all > and copy the report to your next post.